An alarming growth in malware signed with fraudulently obtained keys and code-signing certificates in order to trick users to download harmful code is prompting Microsoft and Symantec to push for tighter controls in the way the world's certificate authorities issue these keys used in code-signing. It's not just stolen keys that are the problem in code-signed malware but "keys issued to people who aren't who they say they are," says Dean Coclin, senior director of business development in the trust services division at Symantec. Coclin says China, Brazil, and South Korea are the hot spots today where the problem of malware signed with certificates and keys obtained from certificate authorities is the worst right now. "We need a uniform way to vet companies and individuals around the world," says Coclin. He says that doesn't really exist today for certificates used in code-signing, but Microsoft and Symantec are about to float a plan that might change that. Code-signed malware appears to be aimed mostly at Microsoft Windows and Java, maintained by Oracle, says Coclin, adding that malicious code-signing of Android apps has also quickly become a lawless "Wild West." Under the auspices of the Certificate Authority/ Browser Forum, an industry group in which Microsoft and Symantec are members, the two companies next month plan to put forward what Coclin describes as proposed new "baseline requirements and audit guidelines" that certificate authorities would have to follow to verify the identity of purchasers of code-signing certificates. Microsoft is keenly interested in this effort because "Microsoft is out to protect Windows," Coclin says. These new identity-proofing requirements will be detailed next month in the upcoming CAB Forum document from its Code-Signing Group. The underlying concept is that certificate authorities would have to follow more stringent practices related to proofing identity, Coclin says. The CAB Forum includes the main Internet browser software makers, Microsoft, Google, Opera Software, and The Mozilla Foundation, combined with many of the major certificate authorities, including Symantec's own certificate authority units Thawte and VeriSign, which earlier acquired GeoTrust. Several other certificate authorities, including Comodo, GoDaddy, GlobalSign, Trustwave, and Network Solutions, are also CAB Forum members, plus a number of certificate authorities based abroad, such as Chunghwa Telecom Co. Ltd., Swisscom, TURKTRUST, and TAIWAN-CA, Inc. It's part of a vast and larger commercial certificate authority global infrastructure with numerous sub-authorities operating in a root-based chain of trust. Outside this commercial certificate authority structure, governments and enterprises also use their own controlled certificate authority systems to issue and manage digital certificates for code-signing purposes. Use of digital certificates for code-signing isn't as widespread as that for SSL, for example, but as detailed in the new White Paper on the topic from the industry group called the CA Security Council, code-signing is intended to assure the identity of software publishers and ensure that the signed code has not been tampered with. Coclin, who is co-chair of the CAB Forum, says precise details about new anti-fraud measures for proofing the identity of those buying code-signing certificates from certificate authorities will be unveiled next month and subject to a 60-day comment period. These new proposed identity-proofing requirements will be discussed at a meeting planned in February at Google before any adoption of them. The CAB Forum's code-signing group is expected to espouse changes related to security that may impact software vendors and enterprises that use code-signing in their software development efforts so the CAB Forum wants maximum feedback before going ahead with its ideas on improving security in certificate issuance. Coclin points out that commercial certificate authorities today must pass certain audits done by KPMG or PricewaterhouseCoopers, for example. In the future, if new requirements say certificate authorities have to verify the identity of customers in a certain way and they don't do it properly, that information could be shared with an Internet browser maker like Microsoft, which makes the Internet Explorer browser. Because browsers play a central role in the certificate-based code-signing process, Microsoft, for example, could take action to ensure its browser and OS do not recognize certificates issued by certificate authorities that violate any new identity-proofing procedures. But how any of this shake out remains to be seen. McAfee, which unlike Symantec doesn't have a certificate authority business unit and is not a member of the CAB Forum, last month at its annual user conference presented its own research about how legitimate certificates are increasingly being used to sign malware in order to trick victims into downloading malicious code. "The certificates aren't actually malicious—they're not forged or stolen, they're abused," said McAfee researcher Dave Marcus. 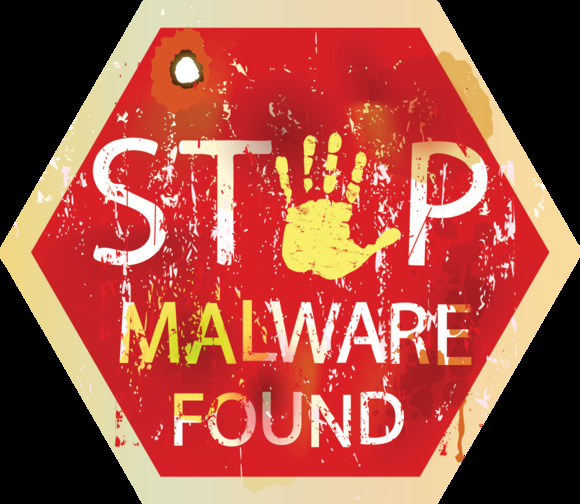 He said in many instances, according to McAfee's research on code-signed malware, the attacker has gone out and obtained legitimate certificates from a company associated with top-root certificate authorities such as Comodo, Thawte or VeriSign. McAfee has taken to calling this the problem of "abused certificates," an expression that's not yet widespread in the industry as a term to describe the threat. Coclin notes that one idea that would advance security would be to have a "code-signing portal" where a certificate authority could scan the submitted code to be checked for signs of malware before it was signed. He also said a good practice is hardware-based keys and security modules to better protect private keys used as part of the code-signing process. This story, "Microsoft, Symantec battle fake credentials in malware" was originally published by Network World.